The distant thunder rolls; the rain gently falls on the night. 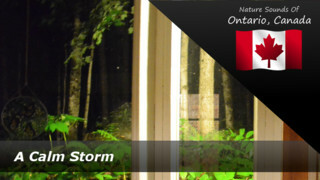 An open window in front of you gives you a front-row seat to the beauty of the calm storm. A roof overhead and glass windows all around you give a panoramic view, and a beautiful ambiance to the sounds around you. 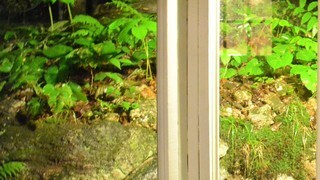 Rising at 5am to the sounds of a heavy rainfall and awakening birds, the Haliburton forest is filled with life. 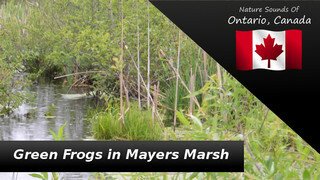 Part of the Minesing Wetlands in Central Ontario, Mayers Marsh offers 6,000 hectare of wilderness and a plethora of wildlife. On this rainy June day, Green Frogs call to one another in the marsh while Red-Winged Black Birds and various songbirds enjoy the calm of the late morning rain. 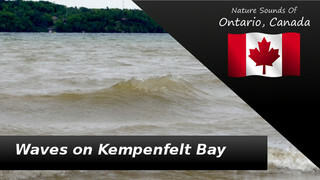 The waters of Kempenfelt Bay were particularly rough one spring day. Listen as nearby birds sing their song, and the waves come crashing down at the Minet's Point beach in Barrie, Ontario. 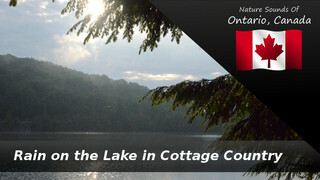 Our first Nature Sounds of Ontario, Canada production featuring video. It's still all about the audio--the video is just a supplement--but we felt it would add a nice touch to include video of the day. Please let us know what you think. Clementine (the vocal, thinner one) and Pumpkin (the pudgy, softer-spoken-but-dominant one) serenade us at home every day. This is their song. 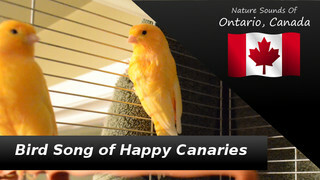 These two Red Factor Canaries love to sing (especially Clementine), and we hope you enjoy listening to their song. This track is also perfect for teaching your own canary how to sing. Just put it on repeat and let your bird sing along. 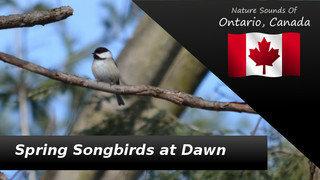 An overnight rain reluctantly subsides as spring songbirds awaken from their peaceful slumber. The occasional vehicle is heard in the distance as residents rise to enjoy another day. Featuring Nuthatches, Wrens, Chickadees, American Robins, Song Sparrows, Warblers... if you hear one you recognize, please let us know. 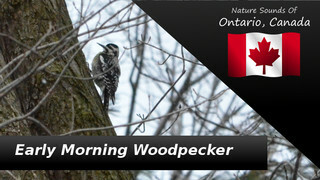 A female Hairy Woodpecker visits the woodland in search of breakfast. In the distance, spring songbirds sing their call, and traffic begins to build in the city. 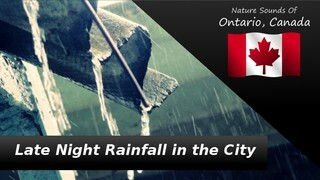 The ebb and flow of a heavy rain falls over the Ontario city of Barrie as it sleeps. The late night sky offers its nurturing waters to the ground below, and the leaves overhead perform their haphazard dance.